The Conservative government is expected to make a final decision as soon as next week that will put an end to the debate about whether to hold a competition to buy new fighter planes or to renew the $45-billion plan to sole-source the purchase of F-35s. 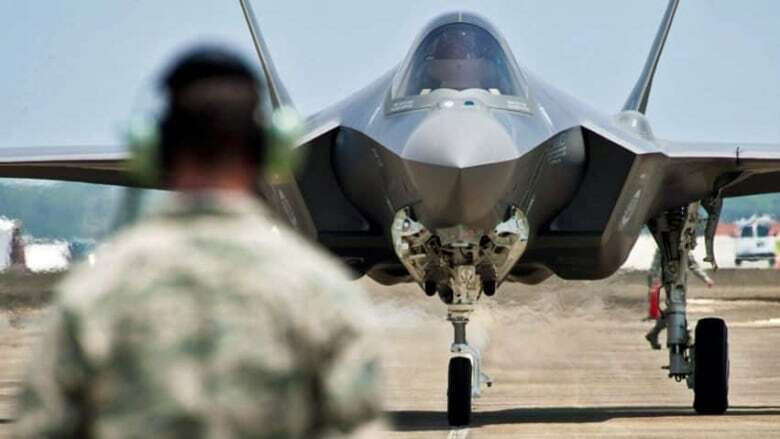 Senior sources inside the Canadian defence and aerospace industry are girding themselves for a government decision next week that they believe is almost sure to favour the controversial F-35. CBC News has learned the Conservative government is expected to make a final decision as soon as next Tuesday, followed soon after by an announcement that will put an end to the debate about whether to hold a competition to buy new fighter planes or to renew the $45-billion plan to sole-source the purchase of F-35s. After a storm of controversy before the 2011 election, the Conservative government took steps to distance itself from the decision and set up a secretariat of senior bureaucrats to manage a review of the purchase and help determine a way forward. The government also hired a panel of experts to conduct a review of the available fighter jet options, including the F-35, and file a public report on the choices. That report is now complete and has been handed to government. Public Works Minister Diane Finley says that report will be made public soon. A source familiar with the review suggested Lockheed Martin's F-35 could very well be the winner, and another source says the independent review did not take sides and therefore could allow the government to conclude the F-35 was still the way to go. A Reuters report on Thursday written by a reporter based in Washington, D.C., said the review recommends the government skip a competition and proceed directly to a buy of the F-35. But in response to that article, a source familiar with the file told CBC News the decision has not yet been taken and that the review has not been finalized.